When upgrading your Android phone to the newest operating system or factory resetting your Android phone due to various reasons, you will find all the downloaded apps have been removed from your phone. So will you have to permanently say goodbye to these apps? Actually you don't have to! Thanks to Google Play store, you can easily have access to the lost apps on Android. As long as you use the same Google account to log in and register your device, Google will automatically identify and display what you have downloaded before. > Press the Apps button from your smart phone. > Scroll to and tap Play Store option. > Press the Menu button to continue. > Swipe to the right to preview all downloaded apps. > Now, just select the apps you want to reinstall and hit the Install option to begin. Note: If once you paid for a game and like another crack on it, you can still re-install the app free of charge. But what if you also lose other files aside from apps, like contacts, messages, photos and etc. from your Android phone? I'm afraid that Google Play store can't help with that, but this Coolmuster Android Data Recovery can! This software allows you to easily recover lost contacts, messages, photos, documents and etc. from Android phone. No matter how you lost these files, several clicks are enough to get them back! More importantly, this software is fully compatible with all brands of Android devices, including Samsung, Motorola, HTC, LG, Sony and many more! How to Restore More Than Apps on Android? Secondly, open the installed software on the computer and then get your Android phone connected to the computer via the USB cord. Then this software will automatically detect your device and show you the below interface. Finally, you can see the below interface where all file folders are arranged on the left panel. You can enter the right tabs to preview more detailed information. 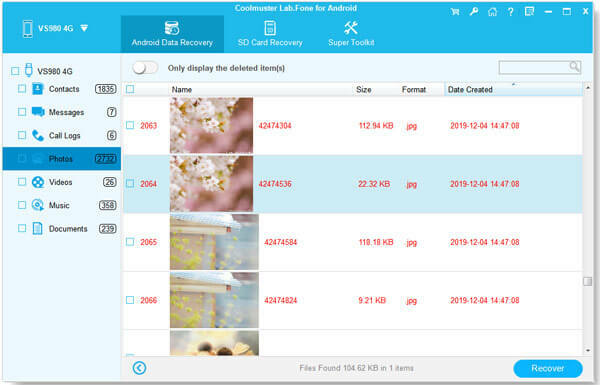 While previewing, you can tick out the wanted files you want to recover from Android phone. Then, just wait for the process to get completed within a little while. 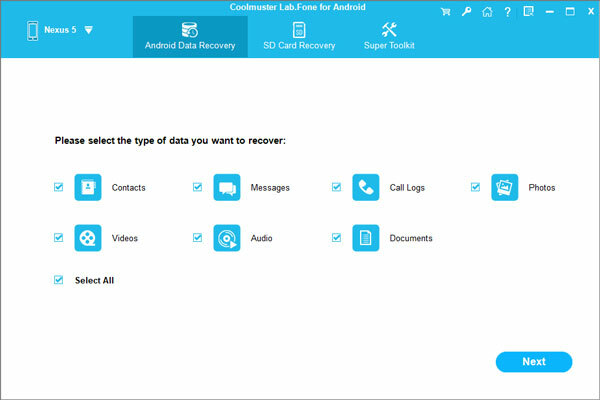 If you need to restore more than apps on Android, then this Coolmuster Motorola Data Recovery software surely can't be missed!